This month we get fully into the summer mode, with four concerts outdoors. 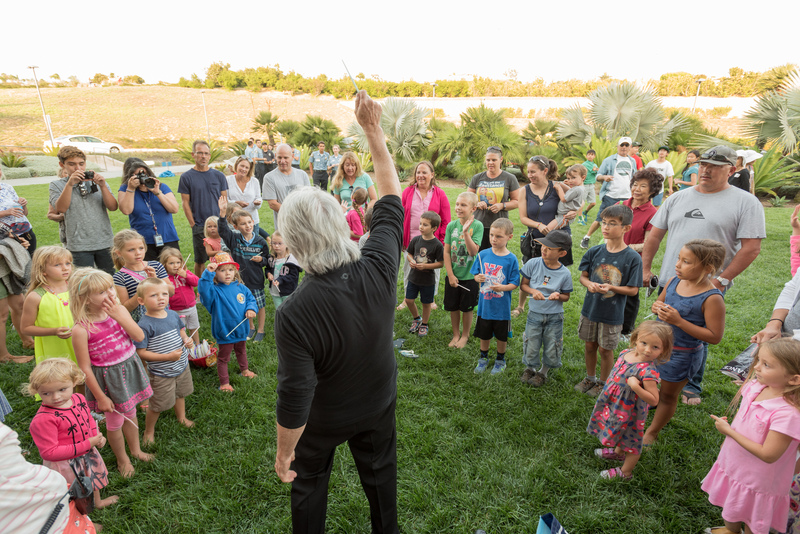 Our annual free community parks concerts, Symphony in the Cities, are in Mission Viejo and Irvine on July 28 and July 29, respectively. As always, Carl St.Clair conducts and there are lots of extracurricular activities for everyone. No tickets required. You can also catch the musicians on PBS this month. PBS SoCal (KOCE) is running rebroadcasts of Peter Boyer’s “Ellis Island: The Dream of America with Pacific Symphony,” the orchestra’s debut on the long-running “Great Performances” series. Air times are : 7 p.m. July 4; and 1 a.m. July 5 on PBS SoCal 1; 7 and 11 p.m. July 5 and 4, 8 and 11 a.m., and 3 p.m. July 6 on PBS SoCal 2. This summer’s Symphony in the Cities concerts, conducted by Carl St.Clair, will be held in Mission Viejo and Irvine on July 28 and July 29, respectively. Programming for these alfresco events has now been announced. The musical fare will include selections from American musicals, patriotic songs and marches, and operatic hits. Soprano Chelsea Chaves and tenor Nick Preston are the guests. The concert begins with the arrival of the children (who will have been coached by St.Clair) to conduct John Philip Sousa’s “Hands Across the Sea” March, a tradition on these occasions. A set from American musicals comes next, featuring music by Gershwin (from “Strike Up the Band” and “Girl Crazy”) and Lerner and Loewe (from “My Fair Lady”). Leonard Bernstein’s “West Side Story” Suite (arranged by Jack Mason) and the Mambo from same transition to an operatic set that includes the Overture to “The Marriage of Figaro” and famous arias from Puccini (including “Nessun dorma”) and Verdi. Christopher Hogwood conducts the Academy of Ancient Music. This piece would make a good concert opener. Richard Strauss conducts his own “Till Eulenspiegel.” This is a clip from the documentary “The Art of Conducting: Great Conductors of the Past.” The first voice you hear speaking is Yehudi Menuhin’s. Carl St.Clair conducts Strauss’s “Ein Heldenleben” this week, doubtless with more enthusiasm. Using texts from the Ellis Island Oral History Project and archival Ellis Island images in combination with an original orchestral score, “Ellis Island” traces seven first-hand accounts of immigrants, narrated by guest stars Barry Bostwick, Camryn Manheim, Michael Nouri, Lesley Fera, Lucas Near-Verbrugghe, Samantha Sloyan and Kira Sternbach. More than 40 percent of the U.S. population can track their ancestry through Ellis Island. 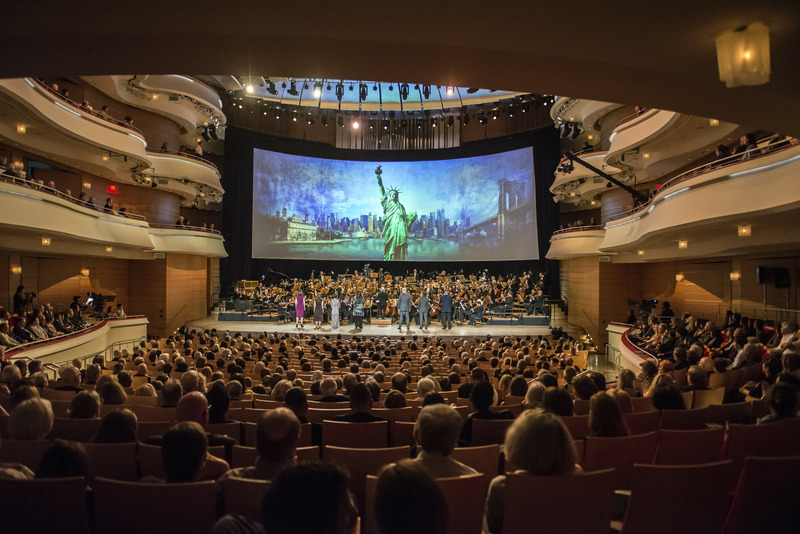 “This screening of the U.S. broadcast premiere of Peter Boyer’s ‘Ellis Island: The Dream of America with Pacific Symphony’ on PBS’s ‘Great Performances’ is the culmination of a year marked with brilliant artistic milestones,” said Pacific Symphony president John Forsyte. “In April the orchestra made its Carnegie Hall debut to critical acclaim. And the following month the Symphony was warmly received during its first-ever tour of China. PBS SoCal (KOCE) has also announced its broadcast schedule for “Ellis Island.” It will air first at 10 p.m. on June 29 on PBS SoCal 1, with repeat broadcasts on the same channel at 4 p.m. June 30; 7 p.m. July 4; and 1 a.m. July 5. PBS SoCal 2 will air “Ellis Island” twice on July 5 (at 7 and 11 p.m.) and four times on July 6 (at 4, 8 and 11 a.m., and 3 p.m.). 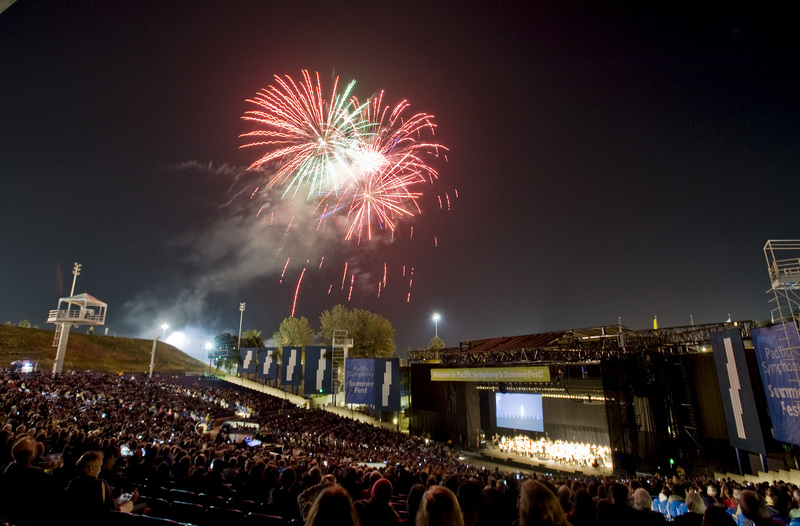 The June 29 screening at Musco is produced by Pacific Symphony in association with PBS SoCal. It will include brief interviews with composer Boyer and Nasser Kazeminy, chairman of the Ellis Island Honors Society. Free tickets are available by calling the Pacific Symphony box office at (714) 755-5799. A meet-and-greet with Boyer will be held in the Musco lobby, following the screening. 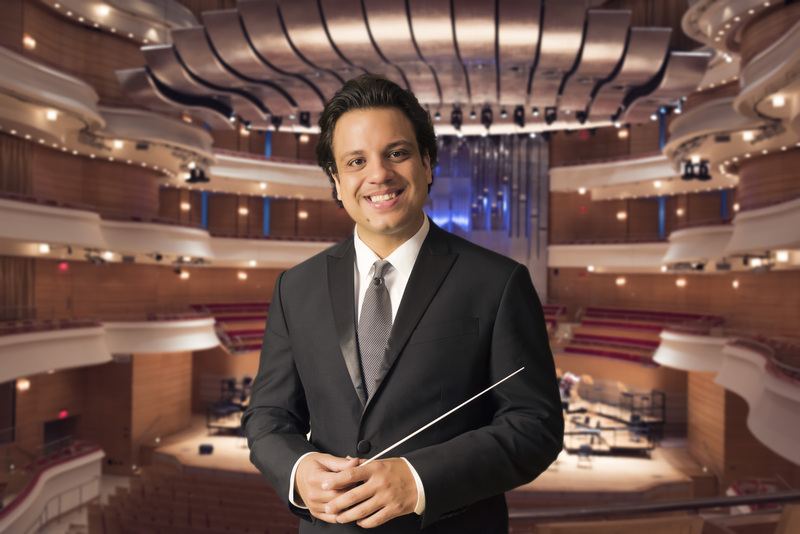 Pacific Symphony assistant conductor Roger Kalia has been named as one of the winners of the 2018 Solti Foundation Career Assistance Awards, the Solti Foundation U.S. announced Monday. This is Kalia’s third such award, having also garnered Solti career assists in 2013 and 2017. Seven other recipients from around the country were also named on Monday. The amount of the award was not made public. “Supporting and encouraging young conductors at the beginning of their careers is the mission of The Solit Foundation U.S.,” said Penny Van Horn, board chair of the foundation. Now in its 14th year assisting young U.S. conductors, the Foundation has awarded more than $500,000 in grants. The Foundation is currently the only American foundation granting these kinds of awards. Citizens or permanent residents to the United States who are career-ready artists in the field of conducting are eligible to apply. The Solti Foundation was established in 2000 in memory of the great conductor Sir Georg Solti. Kalia began his tenure as assistant conductor of Pacific Symphony and music director of Pacific Symphony Youth Orchestra in 2015 and recently signed a two-year contract extension. He is also co-founder and music director of the Lake George Music Festival in New York. Previously, he was music director of the Young Musicians Foundation (YMF) Debut Orchestra in Los Angeles and assistant conductor of the Charlotte Symphony. “I hope to use this year’s award in order to further observe rehearsals and concerts by orchestras not only in the United States but Europe as well,” Kalia said. “I also plan on using a portion of the award to take German and Italian language courses, which are very important languages for a conductor to know, especially since I would love to conduct more opera in the future. I am most grateful to the Solti Foundation U.S. for their continued support and belief in me. Joining Kalia in the winners’ circle this year are conductors Daniel Black, Stilian Kirov, Farkhad Khudyev, Stephen Mulligan, Sameer Patel, Stefano Sarzani and Lidiya Yankovskaya. Visit www.soltifoundation.us for their bios.